mochamadness: "The sentence in my first comment should read: A R..."
mochamadness: "Yusuf Bey IV should have received the death penalt..."
mochamadness: "Like daddy, like son. Can't call his dad a father..."
Michael: "May Chauncey Bailey rest in peace and I hope his f..."
Black Oakland Native: "Why Are You Guys Trying To Tear Down The Only Effe..."
kim crow: "My husband and I personally want to thank Matt O'B..."
OAKLAND – Three trials involving allegations of violent crimes by former members of Your Black Muslim Bakery – including triple murder charges against its leader, Yusuf Bey IV – are scheduled to begin in early 2010. Bey IV and co-defendant Antoine A. Mackey will face three counts of murder each in a trial that will begin May 17 under a schedule set by Alameda County Superior Court Judge Morris Jacobson. One of Bey IV’s former followers, Richard Lewis, will face kidnapping and torture charges in early January, in a case unrelated to the murders, and several former bakery members will face assault and torture charges in a separate case, a jury for which is expected to be chosen the week after New Years. Bey IV is charged with ordering the journalist Chauncey Bailey and two other men killed in the summer of 2007. Mackey is charged with shooting one of them, Michael Wills, in July 2007. He is also charged with helping admitted killer Devaugndre Broussard gun down Odell Roberson in July 2007 and Bailey on Aug. 2 of the same year. Lawyers for Bey IV and Mackey may still file change of venue motions. Bey IV and Mackey face life in prison without the possibility of parole. Broussard pleaded guilty to two counts of voluntary manslaughter in the Bailey and Roberson killings in exchange for a 25-year sentence. He testified before a Grand Jury in April that indicted Bey IV and Mackey, and he will testify at their trial. Before Bey IV and Mackey are scheduled to face jurors, two other trials are scheduled. Richard Lewis, who along with Bey IV and three others was charged in 2007 with kidnapping two women and torturing one of them in an attempt to learn the location of a stash of drug money, is scheduled for trial Jan. 4. The case divided into two separate trials last year. Lewis and Yusuf Bey V, Bey IV’s half brother, were to be tried together, but Bey V pleaded guilty earlier this year. He is to receive a 10-year sentence if he testifies against Lewis. Bey IV and another defendant, Tamon Halflin, are to be tried separately after Bey IV’s murder trial. That’s because they were secretly videotaped together in a police holding cell discussing the case along with another of Bey IV’s half brothers, Joshua Bey. Bey V and Lewis were not on the video, which is why the cases were made separate. On the tape, Bey IV said he, Halfin and Joshua Bey needed to get their stories straight about the case and he believed the victims couldn’t identify them because they had bags over their heads. A judge has called the tape devastating evidence against Bey IV. Joshua Bey pleaded guilty in 2008 and will testify against Bey IV and Halfin. The third case involves former followers of Bey IV’s late father, Yusuf Bey, the bakery’s founder. 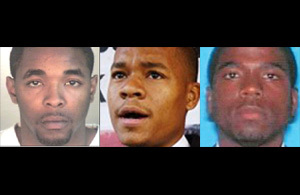 Dahood Sharieef Bey, Basheer Fard Muhammad, Ajuwon FardJamaal Muhammad and Jonathan Moore are charged with beating and torturing a man on Dec. 31, 2008. The victim testified at a preliminary hearing that Dahood Bey told him he had disrespected Yusuf Bey’s memory and threatened to kill him. They also, he said, threatened to rip out his tongue and teeth with pliers. 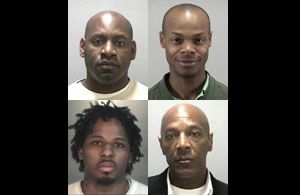 About a dozen men took part in the alleged beating, which the victim said lasted about 30 minutes and resulted in hospitalization and inability to walk for nearly a month. Alameda County Superior Court Judge Allan Hymer in early December refused to throw out torture charges in the case, ruling the attack met the legal definitions of that crime. Jacobson said he would begin the trial in December by hearing motions and would seat a jury the first week of January. Thomas Peele is an investigative reporter for the Bay Area News Group and a member of the Chauncey Bailey Project since its inception in 2007. Reach him at Tpeele@bayareanewsgroup.com. So, rashaad, you equate three murders, kidnapping, and torture to the hurt feelings of the Bey family? Your sense of justice is very biased towards the Beys. Regarding the evidence, you need to read this website more; the evidence is overwhelming. Slideshow: Michael J. Wills Jr. Were Oakland police afraid of Black Muslim bakery?